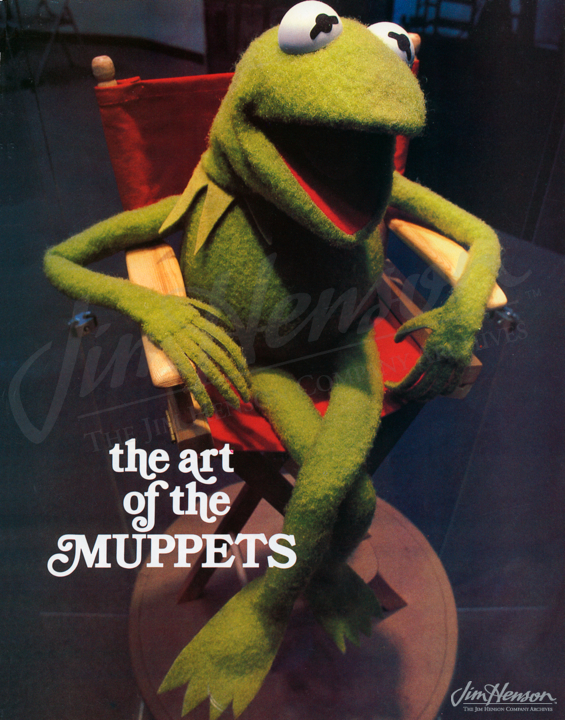 The days leading up to the premiere of The Muppet Movie on June 22, 1979 were filled with various promotional and celebratory events for Jim and his team. 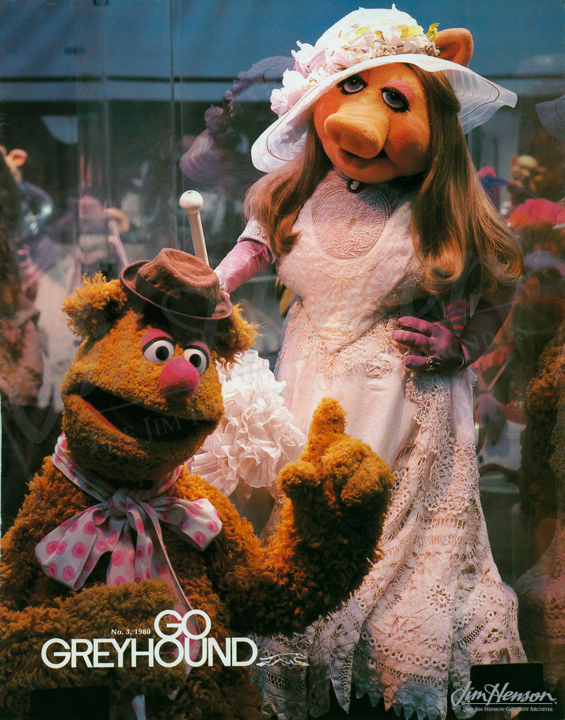 A major one was the opening of The Art of The Muppets, an exhibit that provided a sweeping look at the Muppet characters and the people behind them. 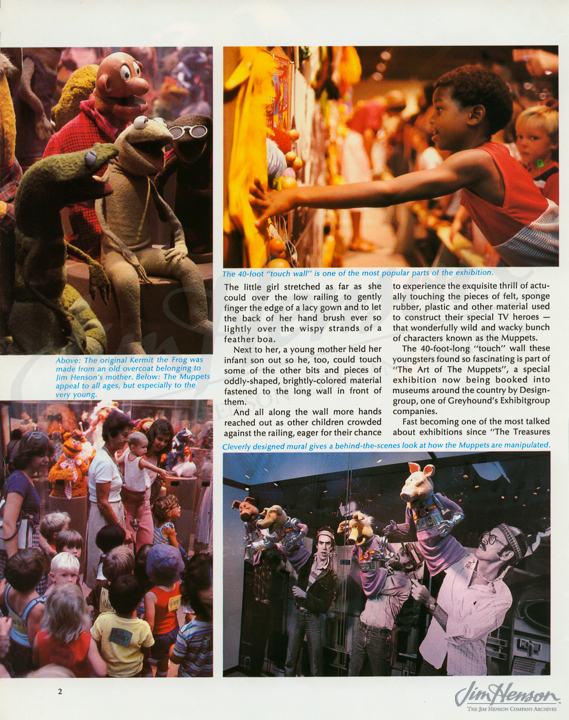 The original version of the show was created specifically for the New York Public Library’s Performing Arts Library at Lincoln Center and opened there on June 5, 1979. 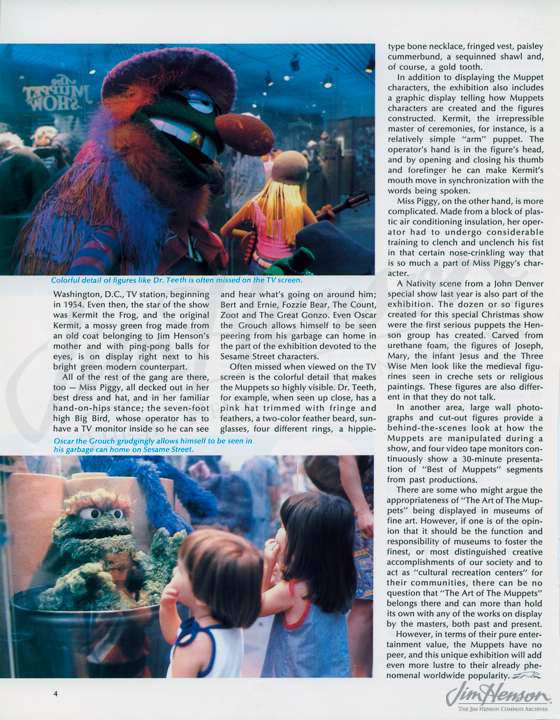 Visitors were thrilled to see their friends from The Muppet Show and Sesame Street and to learn about some of the magic behind the scenes. The popularity of the exhibit inspired a larger version at The San Diego Museum of Art and a subsequent tour. 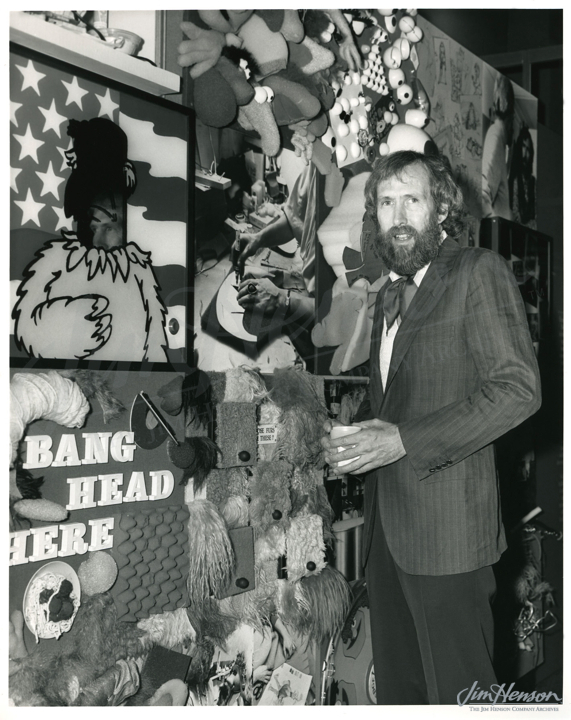 Almost ten years and twenty venues later, the exhibit, with a new name, The World of Jim Henson, had its final showing in London at the Museum of the Moving Image. 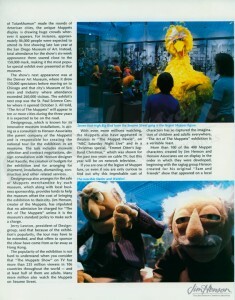 Read more about The Art of the Muppets tour. See some of the behind the scenes material created for the exhibit. 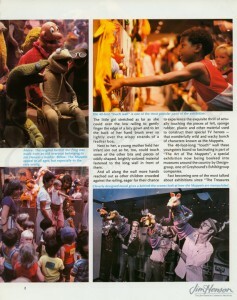 “Art of The Muppets” exhibit coverage in Go Greyhound magazine, 1980. 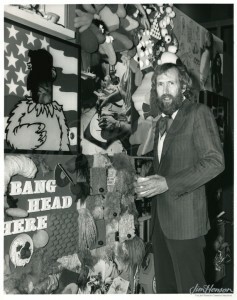 Jim at the “Art of The Muppets” exhibit in Dade County, FL in 1984. 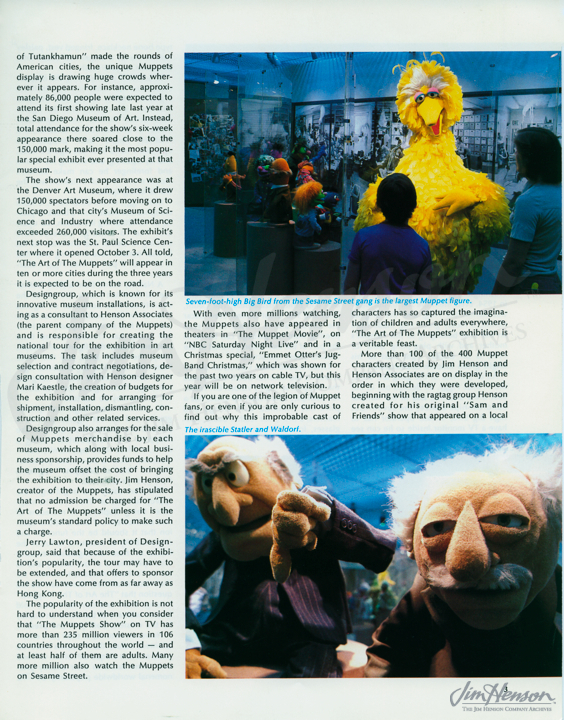 This entry was posted in 06-June '79, 1979, Exhibits and tagged Lincoln Center, The Art of the Muppets, The Muppet Movie, The World of Jim Henson. Bookmark the permalink.